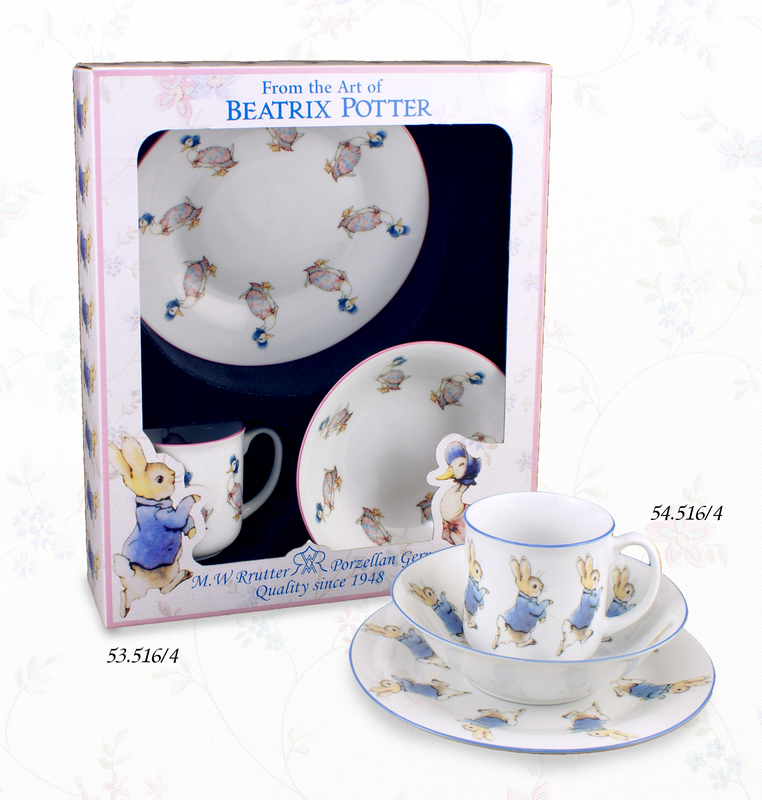 53.516/4 Jemima Puddle Duck Eating Set 3 Pcs (Window box) - AM International Agencies Ltd. 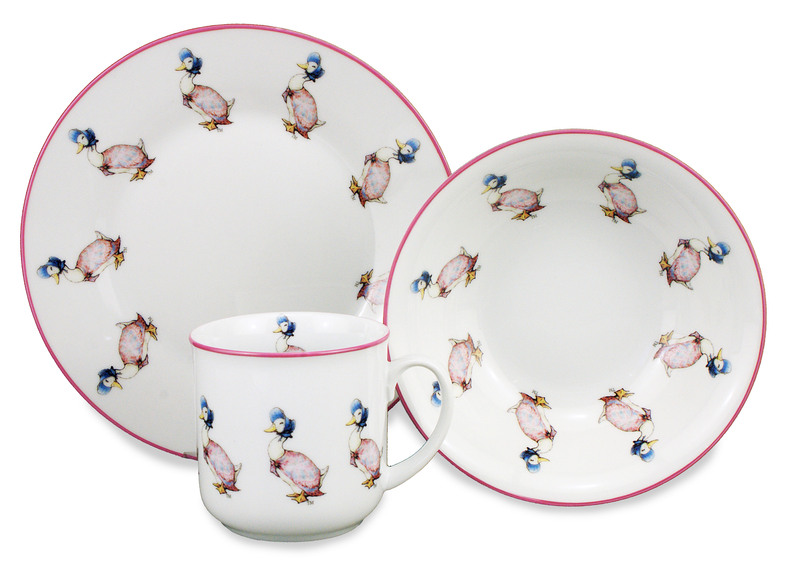 This eating set is designed with Beatrix Potter's character Jemima Puddle Duck. It consists of a bowl, mug and plate. The bright colours let children's heart beat faster.